As a small community without a resident rabbi, we conduct services throughout the year in our synagogue that are either traditional, masorti or reform depending which member of the congregation is taking the service. Some of us who take services find we are called upon to do so under all sorts of circumstances because we see it as a support and a facility to help all Jewish people in Devon who seek it regardless of whether they are members of the Hebrew Congregation. 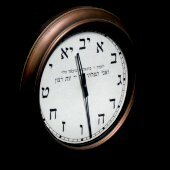 Such an occasion happened for me when, at a request to the synagogue, I found myself, for the first time, officiating at a funeral. Over two hundred people, family, friends and relatives, attended the funeral service of a beloved wife and mother in the lovely little chapel at the North Devon Crematorium. 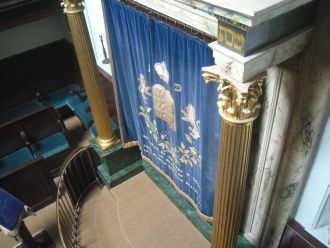 Before coming to live in Exeter I have been a lifelong member of the Reform Synagogues of Great Britain (RSGB) both in Scotland and London, so I felt most competent at conducting a reform service. This service included both English and Hebrew, so that the predominantly non-Jewish mourners could experience involvement in the prayers, meditations and language of the liturgy. I was able to conduct this service with confidence because of the willing help and support I received from the RSGB central office and the Jewish Joint Burial Society who supplied me not only with advice but also with prayer books. I would like to give my sincere thanks to both these organisations. It felt like a privilege to help the family to do what they felt was right and the donation they gave to the synagogue in gratitude will be used to buy more prayer books for the synagogue.